Beginners and experienced reflexologists enjoy The Stone Institute’s reflexology history course. 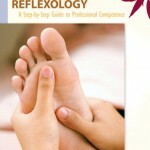 The course opens with a brief overview of reflexology (what is reflexology?) followed by a timeline of the practices from ancient to current times. A quick tour of India, Egypt, Asia, Tibet, China, and Japan prove the continuous practice and cultural expression of manual reflexive therapies. Western practices in Europe and the U.S. introduce present day practices. Natural therapies, including reflexology, are experiencing a renaissance. Reflexology “is one of the fastest growing areas of alternative medicine. Its appeal lies in its natural, noninvasive, integrative approach to wellness.” Therapeutic Reflexology, p. 11. Know the terms and definitions in the glossary. Describe the progression of knowledge and the practice of reflexology in the Far East and Asia (India, China, Japan, Tibet), the Mediterranean (Egypt, Greece, Africa, Arabia), Europe, and the United States. Describe the scientific approach to studying reflexology in the European scientific community from the 1500s to the 1800s. Identify leaders in the European community that shaped the history of reflexology. Explain the differences between the Eastern holistic model of body-mind-spirit and the European/American scientific model. State the contributions of Dr. William Fitzgerald, Dr. Joe Shelby Riley, Eunice Ingham, and Mildred Carter to the advent of reflexology in the United States. This course sets the stage for TR-SC2: Theories of Reflexology, which explains how reflexology works.